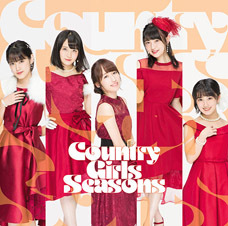 Wota in Translation » Country Musume still lives! 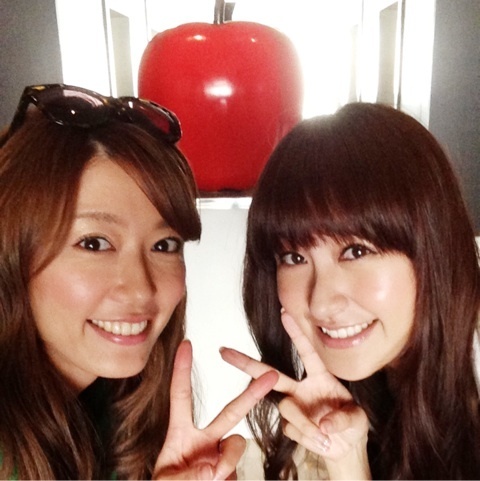 She also featured Ayaka on the same blog post so mention that, too, Sponichi. Rinne and Asami, was it? Pucchimoni never broke up either. What about Melon Kinenbi? And did W ever officially announce their dissolution? It’s pretty much just Melon and v-u-den who properly announced that they were breaking up. 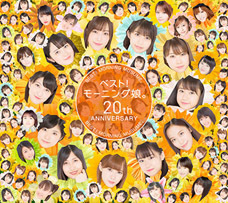 Meimei asked Tsunku on her blog whether Smile Shimai are still together. I think Minimoni properly broke up, too. What a waste. If they’d just left it ambiguous, Tsuji, Kago and Yaguchi getting back together now would create a huge buzz. What are Rinne and Asami doing nowadays anyway? I think Rinne is at Ishigakijima. Rinne is living her life as a nudist at home. On July 3rd 2002, she joined shuffle unit Odoru♡11. 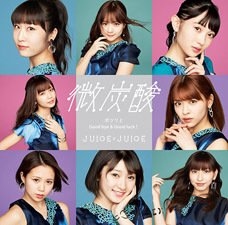 They released “Shiawase Kyouryuu Ondo”. She graduated from Country Musume and Hello! Project that same year at the end of a fan club event held at Hanabatake Bokujo on October 12th and 13th. She intended to focus on stage plays. 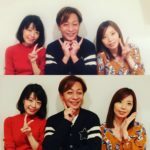 Her motive for graduating was Country Musume producer Tanaka Yoshitake who, influenced by Goto Maki’s graduation, wanted to make Rinne into a solo artist as well. After her graduation, she appeared in the play “Sougen no Hito.” There were no official announcements following that, but in 2011, it was learned that she was residing at Ishigakijima (Ishigaki, Okinawa prefecture) while helping her father with his work. Idol wo Sagase season 2 was all about Rinne. The first time I saw Rinne was on a DVD filmed at Budokan where she was singing while accompanying herself on guitar. That’s how I’ll always remember her. It seems Asami is working earnestly. Which one was Miuna again? 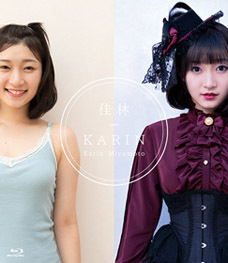 The one that looks like Kumagai Mami. Miuna always remained as their secret weapon. I wonder if they could bring this group back, even if for a limited time. With a group like this that only made one member famous, you’d usually just pretend like it never happened. But Satoda insisting “I’m still in the group!” is part of what makes her so great. She continued saying that until the very last episode (which was March last year). What are the other members aside from Satoda up to? Are they still alive? Rinne is helping with her father’s work in Ishigakijima, Asami is doing caregiving work in her hometown and Miuna is a love columnist. Born in 1987 in Shizuoka prefecture. Started her public entertainment activities in 2003 as a member of Hello! Project. Retired from the world of show business in 2007. Using her skills in beauty treatment, aromatherapy, reflexology and traditional Thai massage, she was working as a therapist for hotels, etc. Started her activities as “All About Love Columnist” in 2011. In 2012 she was living in America. 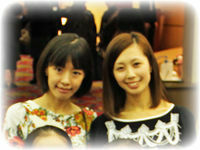 She came back to Japan for a short time to finish a master’s course in statistics in psychology. Ex-Country Musume member Kobayashi Azusa (35) will release her first solo mini-album “DISTANCE” on September 25th. 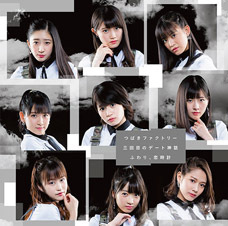 It includes the rock-influenced “100nen no Ketsumatsu” and “Mirai no Kioku” and the poppy “Kazeiro no Sora” for a total of six songs. For the past five years, Kobayashi has been busy playing live clubs and doing other musical activities. “The album contains all my memories and feelings of these past five years“, she says. On the 18th, Kobayashi will be performing at Nishikawakuchi Hearts in Saitama. I can still remember Rinne singing by herself at Budokan like it was yesterday. 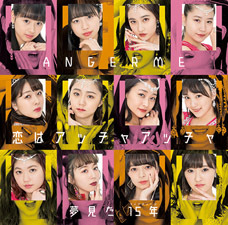 Honey Pie is one of the all-time greatest H!P songs. Henkka: Yanagihara Hiromi. Just wanted to have her name here. Thanks for mentioning Hiromi, may she rest in peace. So is Miuna still doing Thai massage? And is she still living in the US? Suddenly my back is feeling really sore. Honestly, that would be pretty weird getting a massage from a former H!P girl. Is she still a member of Romans too? Honey Pie IS a great song. “Uwaki na Honey Pie” is one of the greatest H!P songs ever. I think it should have sold 1 mil copies instead of Love Machine. Man, I don’t even like Love Machine. Look, and recently I’ve wondering how is Rinne doing. I haven’t heard anything about her after her graduation. And, Hiromi… It’s such a pity that she died. Really. Even now, whenever I think about it, I’m sad. Yet, it taught me something important: How lucky that no one else besides her has died.